I was recently invited to Ricetta’s to try what they had to offer. I had been there before, but not in several years, so I figured this would mostly be a new experience for me. We went on a Sunday night since that was the most convenient time to get to Falmouth, which is a little outside of my usual restaurant visiting area. The bar menu was extensive, offering many beer, wine, and liquor selections. I was looking for a basic cocktail and went with the Lemon Drop Martini – housemade Lemoncello with Ice Pick vodka in a chilled glass. I passed on the sugar rim. 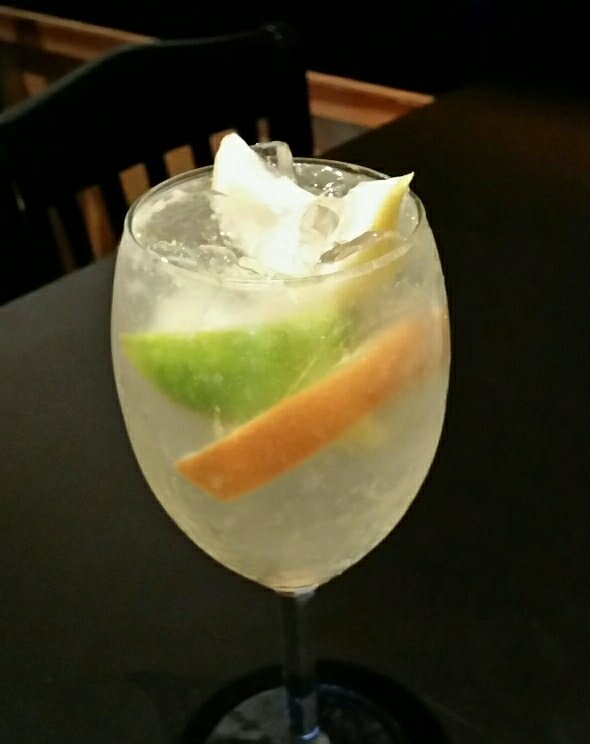 My wife opted for the house pinot grigio with St. Germain liqueur, fresh squeezed lemon and orange then finished with a splash of Sprite. Once we received our drinks, we put in some orders for apps. 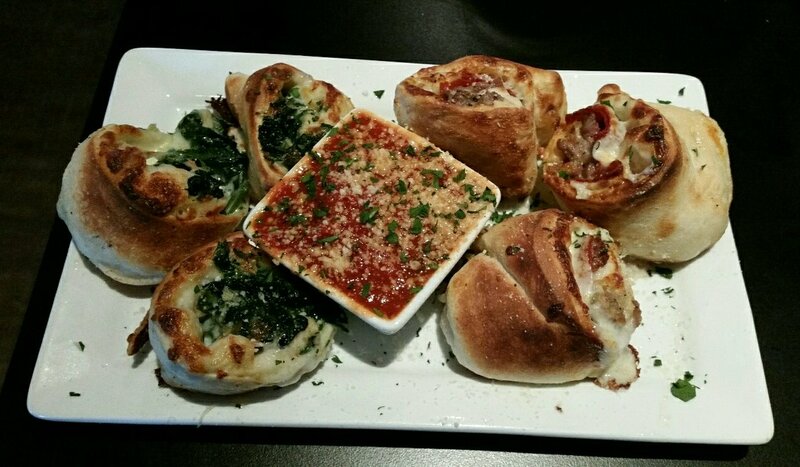 We requested Stromboli Bites ($9) – house-made dough stuffed, rolled and baked in our brick ovens. We also added samples of the Meatball Marinara ($7) – mini house meatballs and house marinara sauce, served with garlic ciabatta – and Fried Calamari ($12) – tender calamari dusted and fried then tossed with hot cherry peppers and served with marinara sauce for dipping. 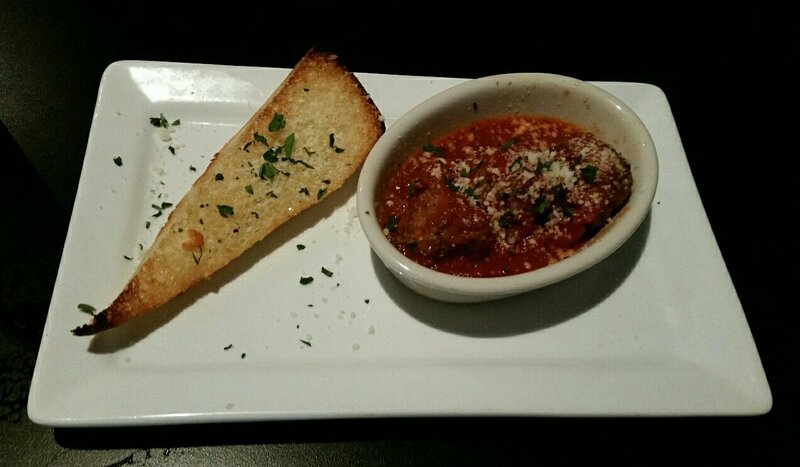 Our apps came out very quickly, starting with the meatballs and calamari. I went for with the meatballs first. They were a little more meaty and dense than I am used to, but the seasoning and sauce were on point. After a couple of those, reached for the calamari. Those too were well seasoned. 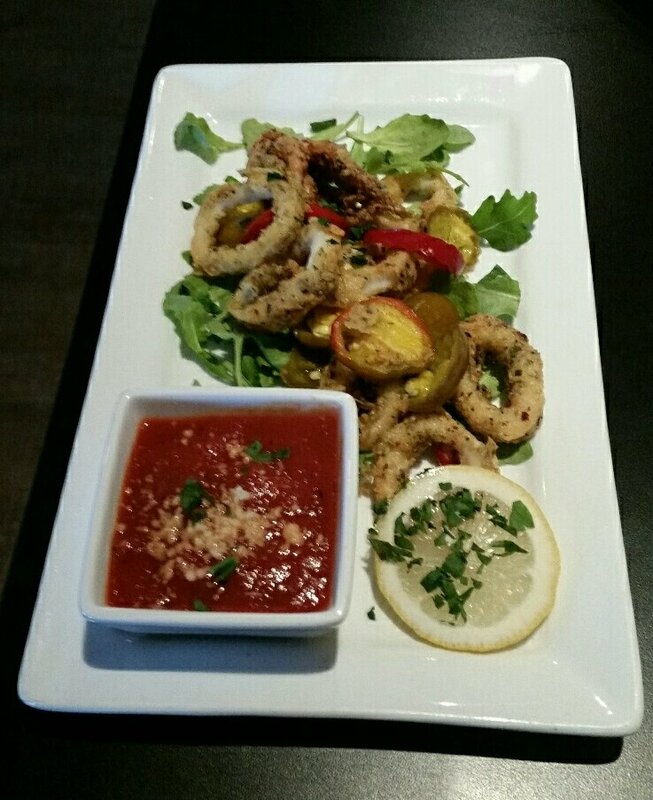 The tender squid and cherry peppers were a well done example of the common starter. As soon as we were done the first two apps, we placed our main course orders and our stromboli came out. There were three “carne” with mild sausage, pepperoni, and mozzarella and three “primavera” with sauteed spinach and mozzarella. I commandeered the ones with meat and Mrs. Portlandeater gladly took the veggie version. A couple bites into the stromboli, I was impressed. I really liked the dough and found it to be well-stuffed with the meat and cheese. All three of our apps came with marinara and I enjoyed that too, using a fair amount on the turnover. Those seemed to be a particular hit at the table as we ate them quite rapidly, finishing every last bite. Like clockwork, as I was chewing on my final morsel, the entrees came out. I had the Abbondanza Sandwich ($13) – hot Italian sausage with roasted peppers, roasted onions, roasted garlic aioli and mozzarella cheese. 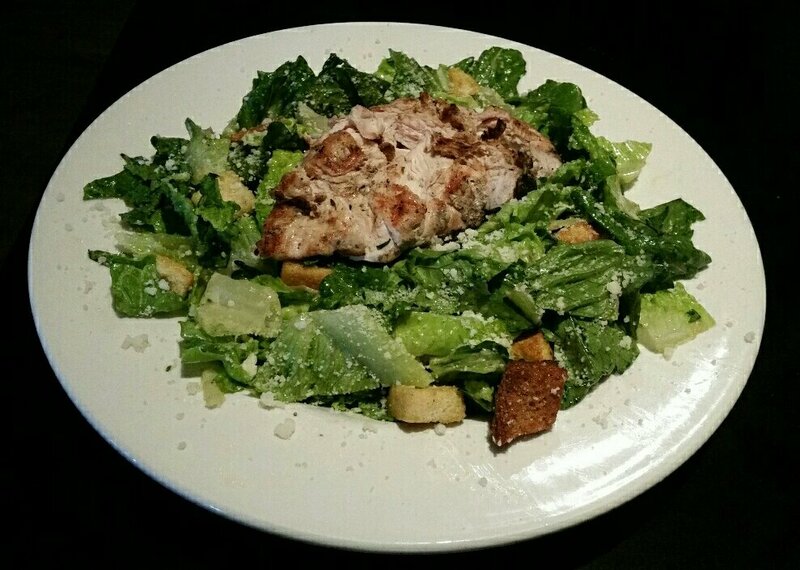 For her, it was Chicken Caesar Salad ($9 w/o chicken) – chopped hearts of romaine and homestyle croutons tossed in our house Caesar dressing with pecorino romano. My first bite of abbondanza reminded me of New York street sausage except that it was on a bun instead of in a roll. I enjoyed the heat of the pork and the roasted veggies. All together, it combined for a really tasty meal. 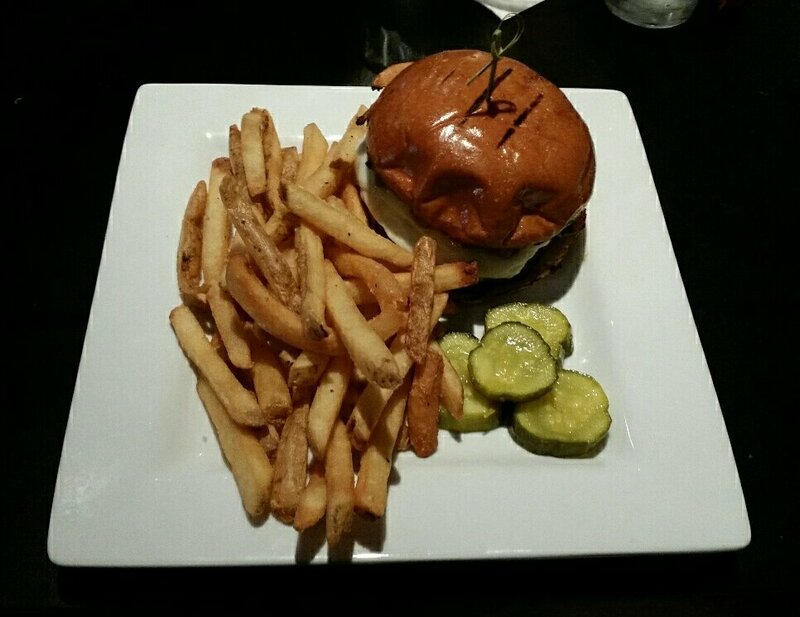 I also had a large pile of crispy fries to go with it which I happily shared with my wife. She enjoyed her salad, but commented that it was a little light on dressing. I had a bite and confirmed that it was tasty despite the modest dosing of sauce. We worked hard on all our food, but both started getting full before completely finishing our meals. I finished most of mine and she had a fair bit of salad to take home. We packed up the Caesar and took home a few house-made cannolis which turned out to be excellent, especially the ones with little chocolate chips at the end. I enjoyed Ricetta’s, much the way I remembered liking it many years ago. Everything was good, but I found favorites in the stromboli and my sandwich. Don’t shy away from any of the other items though. They offer tons of wood-fired and grilled options. Head there next time you’re in Falmouth with a hankering for Italian. This entry was posted in Portland, ME food on August 17, 2017 by peterpeterportlandeater.